Bertha Navarro (born 1943) is a producer and director known for her creative partnership with writer-director Guillermo del Toro. Navarro was born in Mexico City and is the sister of Academy Award-winning cinematographer Guillermo Navarro. 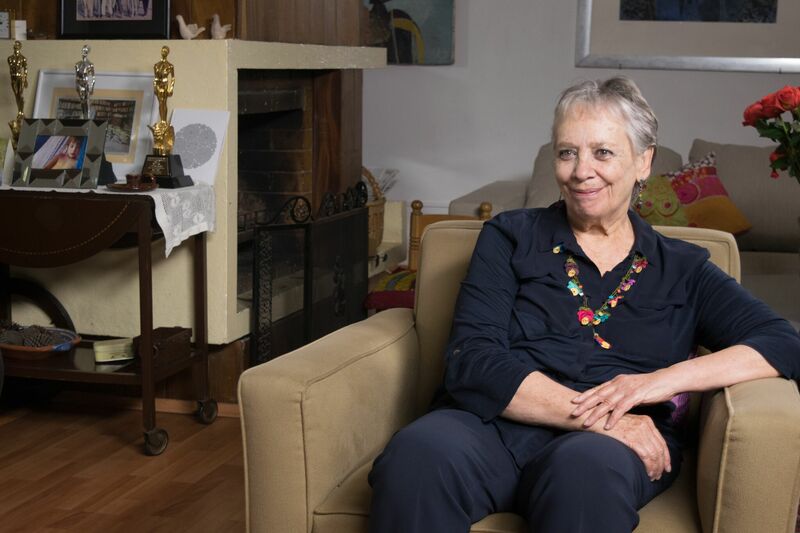 After graduating with a degree in Anthropology from the Escuela Nacional de Antropología e Historia, she formed the Mexican cinematic collective Cine 70 with her husband, writer-director Paul Leduc, director Rafael Castanedo and cinematographer Alexis Grivas. Navarro would produce several films for the banner, including the Ariel Award-winning documentary Reed, México insurgente (1973). In the late 1970s, she was appointed production director at the State-owned production company Conacite II and directed documentaries about the Sandinista Revolution in Nicaragua. Navarro produced the Oscar-nominated El norte (1983), directed by Gregory Nava, before co-founding the Fundación del Nuevo Cine Latinoamericano. Her other production credits include Cabeza de Vaca (1991), Guillermo del Toro’s feature directorial debut Cronos (1993); she would subsequently team with del Toro to produce El espinazo del diablo (The Devil’s Backbone, 2001) and El laberinto del fauno (Pan’s Labyrinth, 2006). An international critical and box-office success, the film received three Oscars, nine Ariel Awards, seven Goyas and three BAFTAs. Navarro would go on to produce the films Rabia (Rage, 2010), Caos (2010), La delgada línea amarilla (The Thin Yellow Line, 2015) and Sin Muertos no hay carnaval (Such Is Life in the Tropics, 2016). Navarro is the 2007 recipient of the Cancun International Film Festival’s Governors Award for her commitment to Mexican and Latin American cinema. Other honors include the 2008 Silver Mayahuel Award by the Guadalajara Film Festival and a Golden Ariel from the Academia Mexicana de Artes y Ciencias Cinematográficas in 2015. 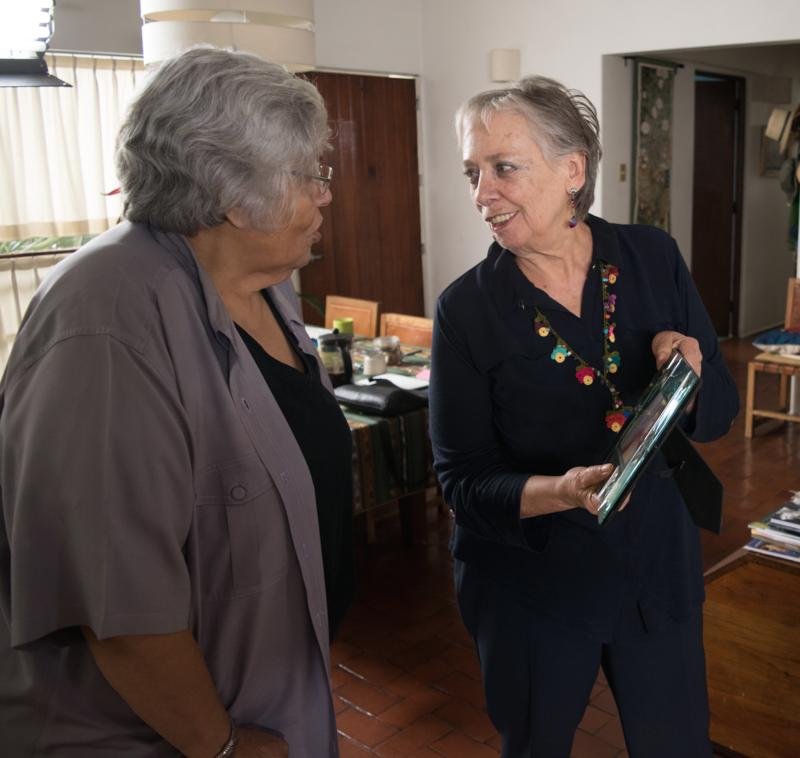 Producer/director Bertha Navarro is interviewed by Lourdes Portillo at Bertha Navarro’s home in Mexico City on September 26, 2015. This is a co-production with the Getty Foundation’s Pacific Standard Time: LA/LA initiative and is part of the project From Latin America to Hollywood: Latino Film Culture in Los Angeles 1967-2017. Navarro discusses her childhood in Mexico City and her early interest in cinema. She cites viewing Bambi (1942) as a pivotal point in her life, with the realization of film’s power to evoke strong emotion. With early aspirations to become an anthropologist, Navarro enrolled in the Escuela Nacional de Antropología e Historia. She recalls her involvement in the university’s theater program and developing a strong passion in the arts. She discusses meeting documentarian Julio Pliego and future husband Paul Leduc, with whom she would co-found the cinematic collective Cine 70 in 1967. Navarro describes the making of the Cine 70 Olympics documentary Olimpiada en México (The Olympics in Mexico, 1968), and the politically charged climate surrounding the event. She details her first film as a producer, Reed, México insurgente (1973), which was directed by her husband. Navarro reminisces about the film’s critical success and her reaction to Leduc receiving an Ariel Award for Best Picture. Navarro goes on to discuss the decline of the Mexican film industry in the early 1970s. 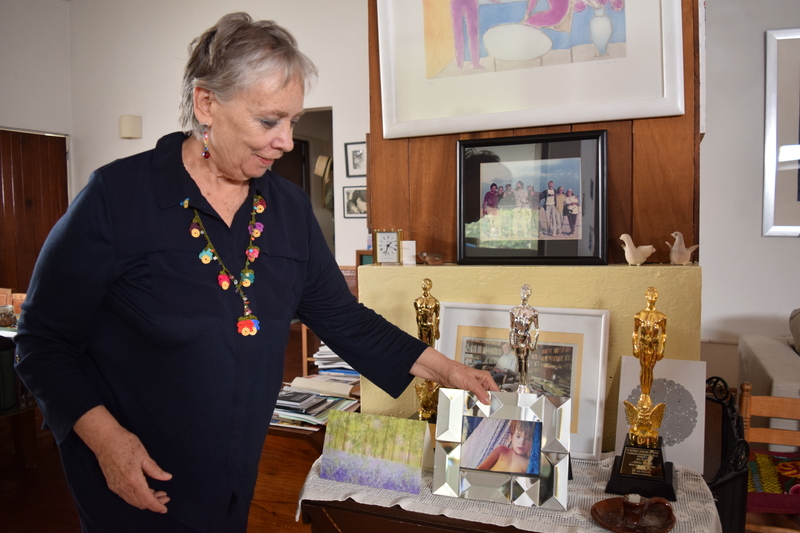 She provides insight into producing Gregory Nava’s Oscar-nominated El norte (1983) and elaborates on the film’s themes of migration and melodrama. She talks about co-founding the Fundación del Nuevo Cine Latinoamericano in 1985, explaining that the collective’s impetus was to unite Latin America through cinema. Navarro speaks about producing Cabeza de Vaca (1991) and working with her brother, cinematographer Guillermo Navarro. She recalls meeting the film’s makeup artist, Guillermo del Toro, and subsequently producing his breakout film, Cronos (1993). She details the formation of the production company Tequila Gang with del Toro in 1998 and their first project as producer and director, El espinazo del diablo (The Devil’s Backbone, 2001). She muses on their next collaboration, El laberinto del fauno (Pan’s Labyrinth, 2006), chronicling the film’s critical and box office impact. She goes on to examine the changes in the Mexican film industry from the 1970s through the new millennium. Navarro closes with thoughts on film exhibition in Mexico and how digital technology is enhancing the viewing experience.